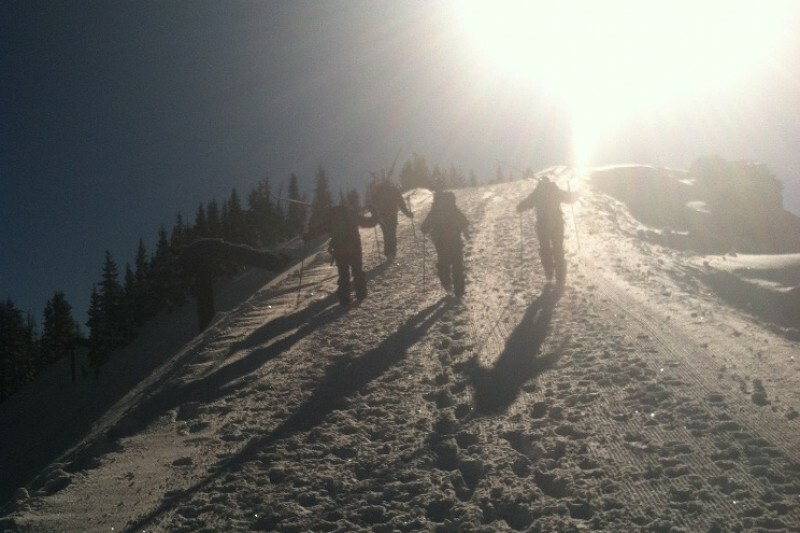 WOLF, the Winter Outdoor Learning Fund, is founded by Wolf Creek Ski Patrollers and run by all kinds of fun loving folks who want to share their love for the mountains in the winter! We are raising money to send enthusiastic people to educational programs that expand the base of well informed people in the backcountry. With a couple of fundraising events each year, we want to provide scholarships to young people in local mountain towns to be able to attend avalanche education and wilderness medical courses to help expose them more to the outdoors in a safe and fun way. The fundraising events will center on our stengths and passions, namely ski and snowboard movies, playing cards, and of course, beer! It would mean a lot to us to give these kids an opportunity to enroll in some adventurous, fun, and potentially life changing courses in the snowy outdoors. In providing these scholarships, we hope to support and develop the outdoor community, and bring more enthusiastic, fun loving people into a tight knit local group of backcountry friends. It would honor and celebrate all of our snow buddies, past, present, and future to raise money for our excited and deserving future mountain rockstars! Time for some winter fun at the Liberty Theater! Dec. 6th WOLF will be screening “Far Out” Teton Gravity’s awesome new film. Doors open at 6:30 and beer will be available for purchase for those 21 and older. Liberty theater will be providing there usual delicious refreshments. Door fee is $10 per person and as usual, WOLF will put all peofits toward putting local folks in medical or avalanche safety classes. Thanks for sll your support! The annual WOLF Fundraiser will be January 19th at the Rez Hill Grill! Kicking off around 7 pm we will have beer, some fun old movies, and an all around great time! T shirts and Hats will be available as well. Come out and join us in supporting a great local cause! The snow is flying and winter is descending on us! WOLF had an awesome event at Kip's in Creede this week where a Know Before You Go presentation and plentiful food and beer made for a great night. About 30 Creede locals of all ages were in attendance! Thank you to those who attended and also to those who were able to donate to the WOLF cause. We are so excited to be diving into the snowy season! A huge thank you to Riff Raff Brewery for their incredible generosity in donating proceeds from the Sut's Faux-Kanee Lager Launch Party! Thanks to all who attended and drank beer in memory of Colin Sutton. 168 pints of Sut's were consumed, pretty darn good! If you ever need a place to grab a pint or a burger, Riff Raff is the best in town, run by Jason and Shelly!